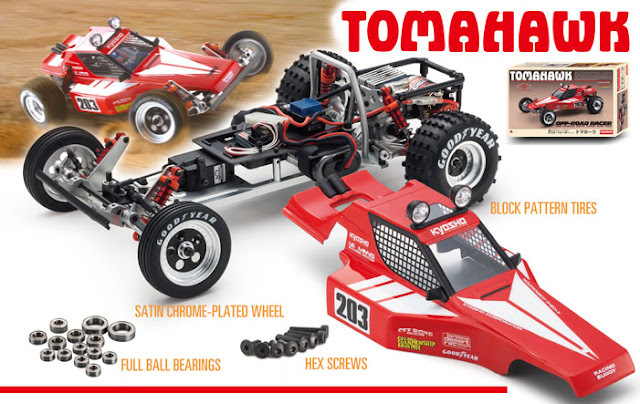 This was clearly the precursor of the Optima... and a milestone in the Kyosho buggy history. Finally the Tomahawk tires are available! Here's the latest vintage series, the TurboSco!!! Looooooooong sought for, finally a rerelease!!!! 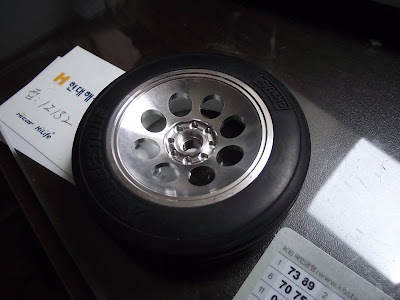 with modern versions of wheels in 2.2 fashion. The shocks are wider (I'd not say bigbore yet)... 12mm diam instead of the original 10mm. gearbox is the new Scorpion 2014 version, with slipper. All screws are hex, which is a great news. 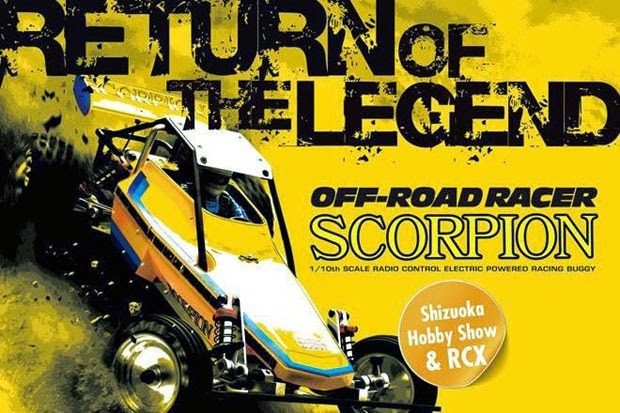 I guess you all know the great news; finally Akira Kogawa has revealed the project he's been working on for several years: the ANCESTOR of the Ultima, the return of the famous Scorpion!!! 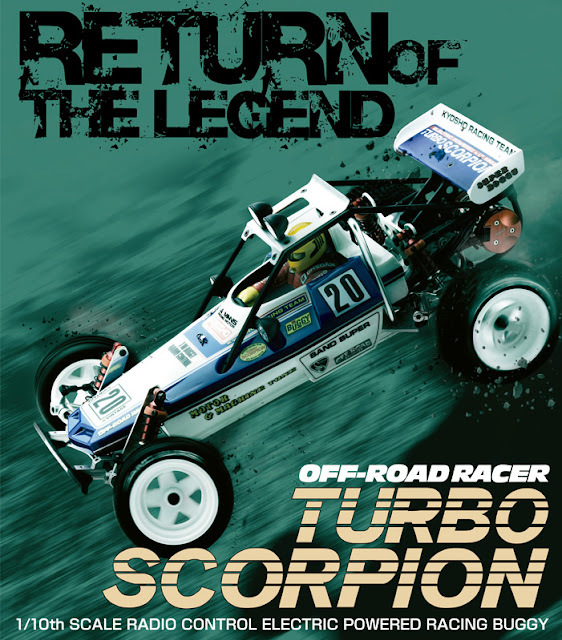 This is the long awaited release of the retro vintage Scorpion, which was the cornerstone of the Kyosho off-road program during the late 70s and early 80s. Designed by the same designer as the original Scorpion, this new version is very faithful to many of the details that make it virtually identical to the original car, but there are some changes to increase the durability and performance. The shocks are higher quality with much smoother operation, and the spring pre-load collars will not snap like the old ones. ;o) The transmission is upgraded with 48-pitch gears and nearly all metal construction except for the compound counter gear. A sealed gear differential is driven via a modern slipper clutch to smooth out power delivery. Of course the next step would be to rerelease all the glorious cars from the era, like the Optima, Ultima and Javelin (my favourite), but I guess it's only a limited phenomena... Such a pity. Happy happy happy new year fellow ultimaniacs! I can see that quite a lot of people is still interested in the vintage Ultimas, and I can understand that, these machines were beautiful and well crafted. These days I can recognize the Ultima DNA in several recent cars. 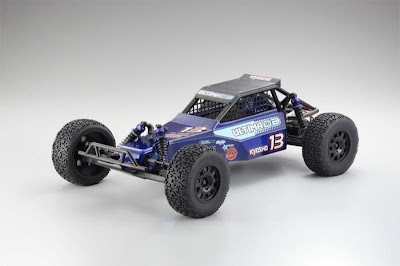 While Kyosho has released the Scorpion XXL VE and the SandMaster, HPI rocks the beaches with the Baja 5b Flux. Long live the Ultimas! Btw I've begun a new blog about mini-z autoscales if you care. OT-67 Custom for Ultima Front! OT-67 Custom for Ultima by Pargu & Ruediger!!! 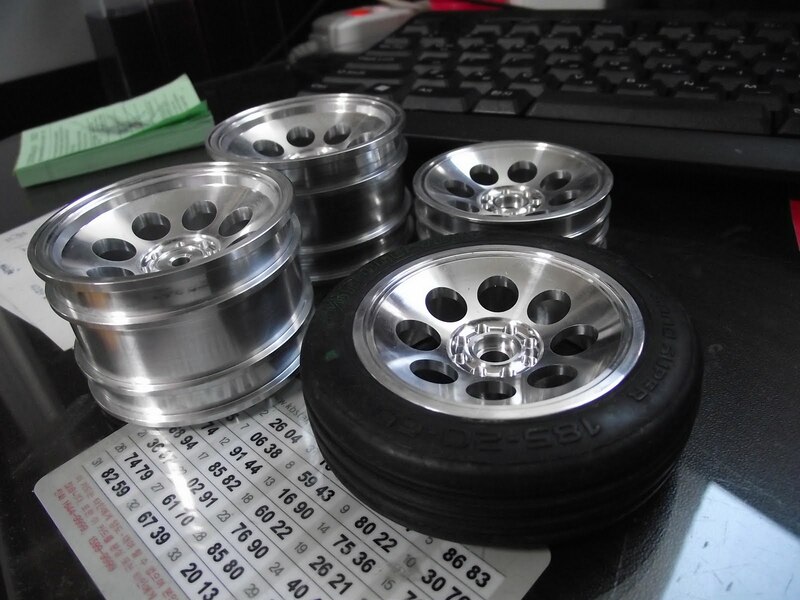 These are a special order from Ruedi (aka Rocky4wd) and Pargu has perfectly realised the potential of this front narrow silver wheel, which will perfectly match the classic silver wheels for Turbo Optima and the likes (Option House W-5021 & W-5022)!!! I've been asked a lot of times, but I was still gathering the info. 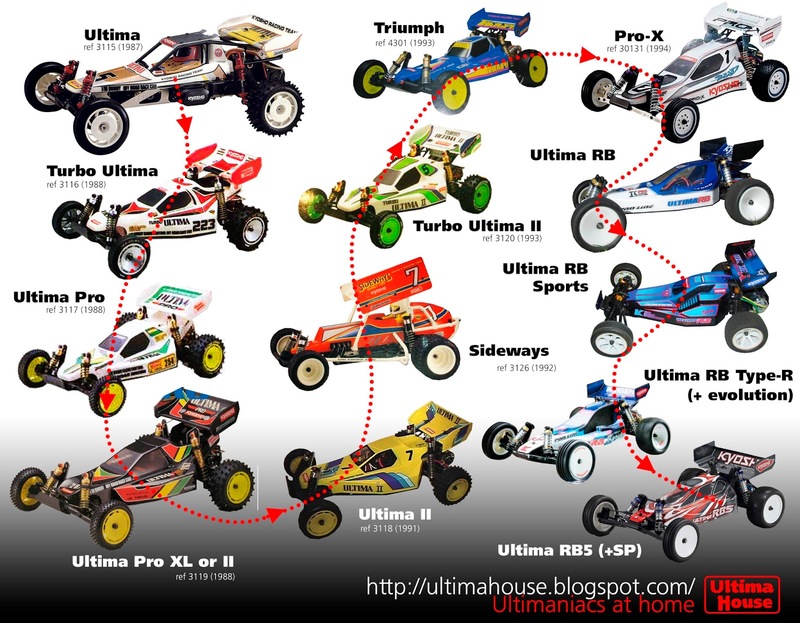 Please note that I only focused on OFF-ROAD Ultima series. 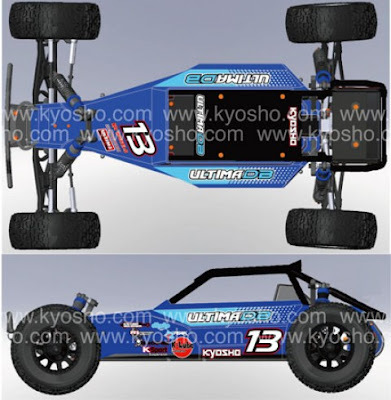 Kyosho released some on-road cars based on the chassis as well. If you think I'm wrong in the above numbers, please send me a mail, or comment. It's basically the same layout to the optima ligneage you can find on the sister blog, optimahouse. 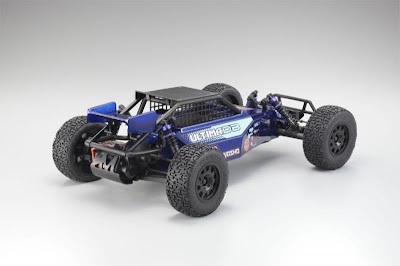 Kyosho will release in march 2010 the Ultima DB (for Dune Buggy). Clearly a retro design, aimed at oldschool buggylovers. And why these HUGE front tires while it's a 2WD? a bit too trucky isn't it? Influenced from the actual buggies raced in the Baha area, this new buggy goes back to the good old days of pipe framed buggies. The chassis is based on the Ultima SC meaning that the performance is guaranteed. The chassis is stretched from the original RB5 buggy and large enough to be considered a 1/9th scale. 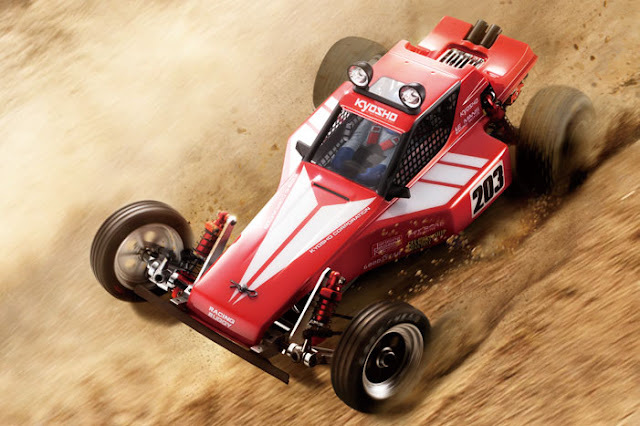 This Ready Set (Ready to Run) is not just a backyard basher but a fully race ready chassis with many of the high performance traits from the Ultima RT5. * Composite Chassis - The chassis plate is 40mm longer then the RB5. Light and strong, featuring a specially formulated carbon fiber composite for the best balance of peformance and durability. Strategic braces molded into the chassis enhance the stiffness without adding any unnecessary weight. Seperate front and rear clips allow fast and easy removal of the front and rear end of the car, which makes maintenance and repair much easier. 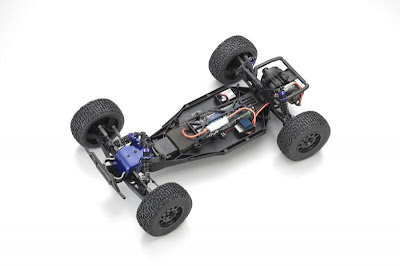 Designed to accept stick packs and 2 cell lipo packs, the DB chassis features an adjustable battery mounting position that allows you to shift weight bias to suit track conditions and your driving style. * Transmission - The new transmission features a smaller, more compact housing that keeps the motor as low and close to the transmission as possible, which reduces CG and improves bump handling. The three- gear transmission features a new heavy duty SP idler gear an sealed gear box with 4pcs metal bevel gears. 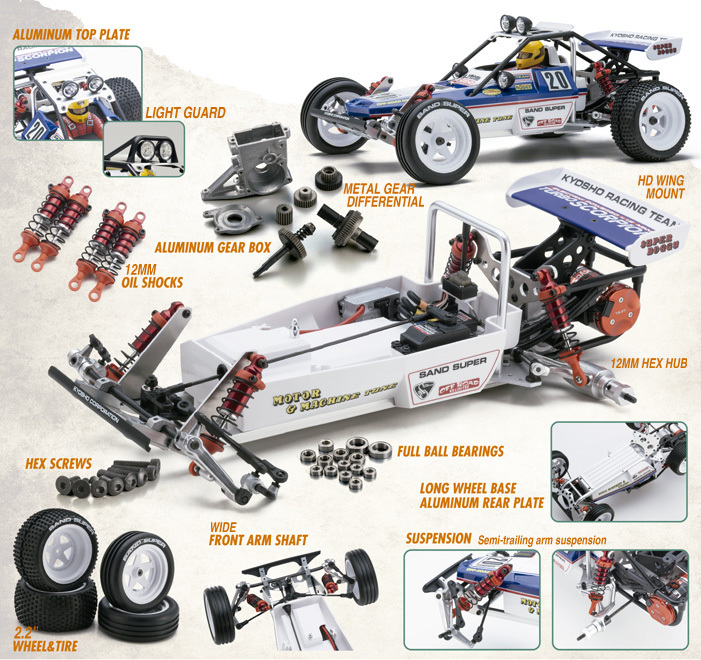 * Rear Suspension - The rear suspension are symmetrical so a single replacement arm can be used on either side of the truck, saving money and space inside your pit box because you don't need to carry as many replacement parts. The inside of the arms are attached to the chassis using seperate suspension mounts, which will allow anti-squat adjustment. Vertical ball studs for the both inner and outer rod ends of the upper link means the rear suspension geometry can be fine tuned with shims. * Front Suspension - Symmetrical suspension arms connect to a narrow front bulkhead. The bumper/skid plate, suspension block, nose plate and front bulkhead all come together to form a very rigid assembly, to which the front suspension arms mount to. The standard position of the suspension mount produces 25 degrees of hinge pin angle in the front arms, but simply flipping the suspension mount increases hinge pin angle to 30 degrees. The added flexibility of having adjustable hinge pin angles means you have more options when it comes to setting up your truck. Like the rear arms, a single replacement arm can be used on either side. * Floating Axles - While floating axles ride in bearings that are mounted in the nub instead of the wheel, this moves the weight of the bearings inboard for extremely more responsive suspension. The bearings are under less stress, and they're better shielded from the elements. 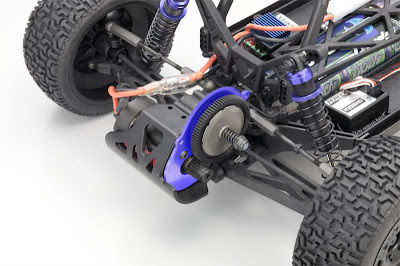 * Steering Assembly - The steering bellcranks are mounted on the chassis at the same angle as the suspension arms. This eliminates bump steer and produces more accurate Acherman geometry throughout the entire range of steering motion. The steering plate (center link) features horizontally mounted ball studs, which mean the Acherman can be fine tuned by using shims behind the ball studs offering a nearing infinite range of adjustments. * Captured Hing Pins - A simple button head screw captures all the outer hinge pins of the Ultima DB. The rear inner hinge pins are truly captured between the suspension mounts, and the notched inner front pins are secured with a setscrew through the front suspension mount. This means that the hing pins are much more secure and less likely to come loose. * Shock Towers - The front shock tower is mounted as far back on the chassis as possibl y, as are the shocks, to keep the mass as low as possible. The rear shock tower is also designed to keep a low profile, yet allow enough suspension travel to ensure the best possible handling. The shock towers are molded from an exhaustively tested composite, which is much more costly to produce than shock towers made from woven graphite, but will also provide greater durability. * Threaded Composite Shocks - The composite shock bodies feature a threaded spring pre-load collar for quick and easy adjustment. The threaded adjuster features an O-ring that prevents the preload settings from moving, which ensures consistent performance from start to finish. * Fan Cooled 20 Turn HP Motor - High performance and longevity are the key features of the G20 motor. It has an internal cooling fan so the motor stays cool and strong from run to run. * Reliable Perfex Radio System - Pre-installed KR6 AM. receiver and a reliable Perfex KT6 pistol grip transmitter. * Lipo or NiMh - The Perfex ESC is compatible with either Lipo 7.4v 2cell or 8.4v NiMh (7cell). * RT5 & SC Compatible - Most parts are compatible with the Ultima RT5 and most RT5 optional parts. Kyosho's vintage Ultima was a milestone in modern electric powered 1/10 Off-road racing cars. It won the 1987 IFMAR world championship and gave birth to a succesful dynasty of racing cars, with the RB5 being the most up-to-date. 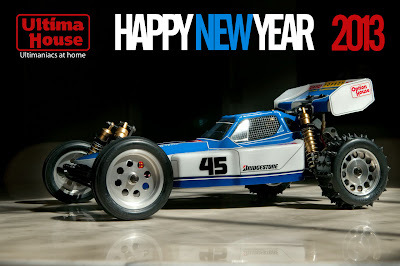 My first real RC was a Kyosho Optima when I was 12. Now I work in the field of architecture but I kept intact my interest for scale models, and fused it with my photog hobby. UltimaHouse is a web log created by an Ultima fan to present related information. 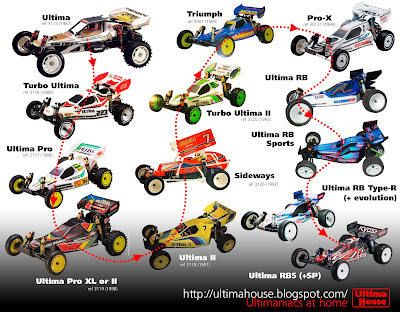 UltimaHouse is not affiliated with nor supported in any way by the Kyosho Corporation Japan or any of its subsidiaries throughout the World. Any brand names, logos, service marks, trade marks or other material provided by the blog are © Copyright their respective copyright owners.